Speaking to hundreds of priests at an annual course organized by the Apostolic Penitentiary, the Vatican court, which deals with issues concerning the sacrament of confession, the pontiff advised priests to refer people to exorcists if they suspect demonic activity is at work. However, Francis urged confessors to exercise caution when determining whether a person is suffering from a mental disorder or demonic influences, advising priests to work with psychological professionals when coming to a decision. Nonetheless, the 80-year-old pontiff said that if a confessor does recognize the presence of evil spirits, they must not hesitate in referring that afflicted person to an exorcist. Disorders can be caused by all manner of circumstances, including supernatural ones, the pontiff said, describing exorcism as a “sensitive and necessary ministry,” Catholic News reports. 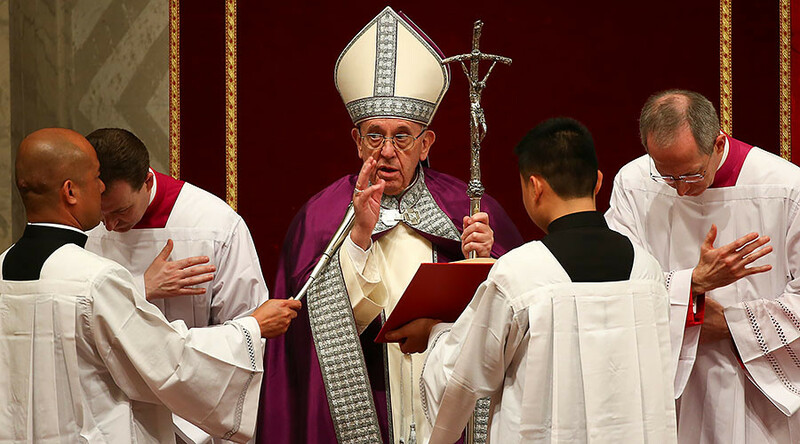 Despite attempting to modernize many aspects of the Church, Pope Francis speaks more about the devil than his recent predecessors, regularly characterizing Satan as an evil, physical, presence in the world. “Anyone who does not pray to the Lord prays to the devil,” he warned in his first homily as pope. Francis described the 2016 murder of French priest Father Jacques Hamel at the hands of jihadists as a satanic act, and has also compared the sexual abuse of children by priests to participation in a satanic mass. The Vatican formally recognized the International Association of Exorcists in 2014, shortly after Francis became pope. The association, which has approximately 250 priests operating in 30 countries, even has a newsletter in which members can describe particularly interesting or difficult cases.